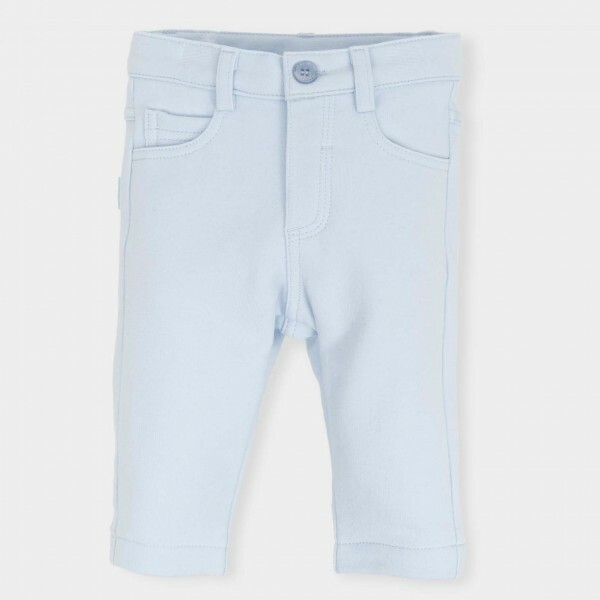 These very smart baby blue trousers are the perfect staple, whatever the season. Beautifully made by our friends at Tutto Piccolo, they're a wonderful addition to any young gentleman's winter wardrobe! Ideal for dressing up with a smart shirt or down with plain polo, just mix it up and you're ready to go. The soft mix of materials will ensure he is kept cosy this season - so your little man will be comfortable as can be, as well as stylish. The gorgeous blue will compliment every colour in his wardrobe and is a great tone for the colder months.